Croquet is a wonderful outdoor sport that is easy to learn and combines tactics and skill which can provide a challenge that players of all abilities and experience will relish. Our croquet facilities are excellent with two well maintained croquet lawns. We have a thriving membership and welcome players of all ages and abilities. You’ll find our popular Club Afternoons enjoyable and sociable times to meet other players. They run on Wednesdays and Fridays from 1.00pm until 4.00pm. On Thursdays, the lawns are set aside for Association Croquet, which is the international version of the sport. Everyone is welcome and for those who are unsure of how to play Association Croquet, coaching is available. 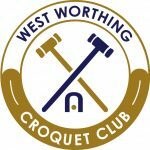 If you would like to give croquet a try, please contact the Club and we will arrange for you to come along to one of our organised sessions or meet one of the regular players who will happily introduce you to the game and answer your questions. The Club runs internal competitions for the competitive players and arranges regular matches with other local clubs.